The Golden Circle provides a grocery delivery service in partnership with the Co-op on 47 Ave. 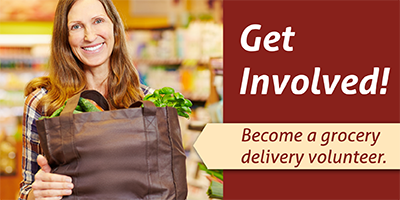 If you need to use our grocery delivery program a home assessment is done to get you connected to our services. The Golden Circle informs the Co-op of a new customer. The Co-op calls on Wednesdays for the clients order. Golden Circle delivers the groceries on Fridays. The Volunteer Driver collects the money for the groceries to be given to the Co-op. Contact our Outreach team for more information.